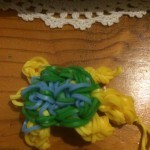 Home | MoM answers | Loom band ideas? u tube is great for loom band ideas, and they go through the process step by step to help you work out how to do it. Absolutely get onto You Tube or type in loom bands on to facebook and you will find a few different groups and ideas. I use youtube alot. Here is one I made. I didn’t have the right colors though. 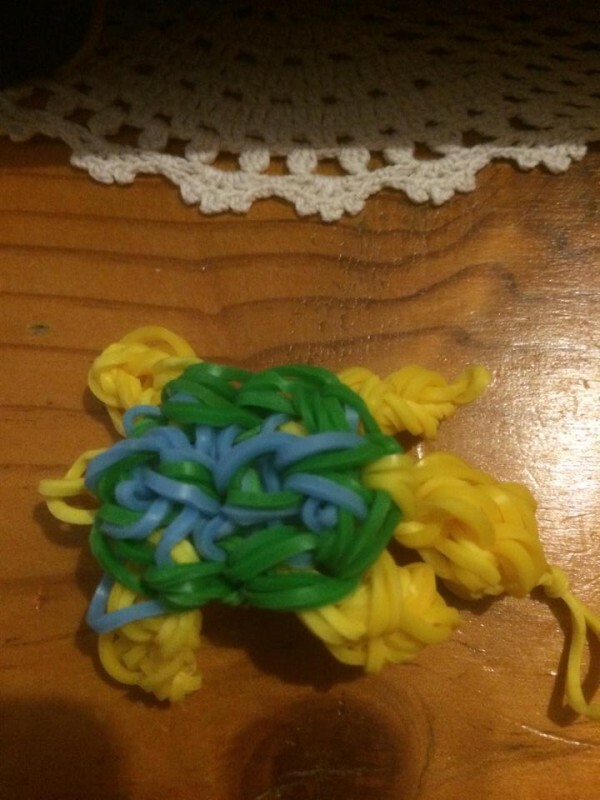 You tube is definitely the spot to get ideas also you may want to head over to ebay and search for loom band dress as they are going for MASSIVE amounts of money. Does anyone have any photos of what they have made. My grandkids are hooked! The great thing is they can actually make bands for gifts & even the Dad’s are wearing them in their favourite footy team colours. I’ve Justin’s toys websites. My next project is a mural. I would love to add pictures but it’s not letting me. Good luck looming!! Saw this on the internet today, so there may be some ideas here that will help you. I’ve never used them, but from what I’ve been told, you’re really only limited by your imagination. I asked my neighbour, as her daughters are mad on the loom band craze, and she gave me this website. Hope it may help you.